Dynamic team made up of two talented individuals who are passionate about IT Technology, NanoXion is a young start-up specialising in hosting solutions in France, located in Tarbes (Hautes-Pyrénées) – FRANCE. They provide all kinds of high availability professional hosting solutions, server administration, maintenance and serverhousing service in their datacenter. 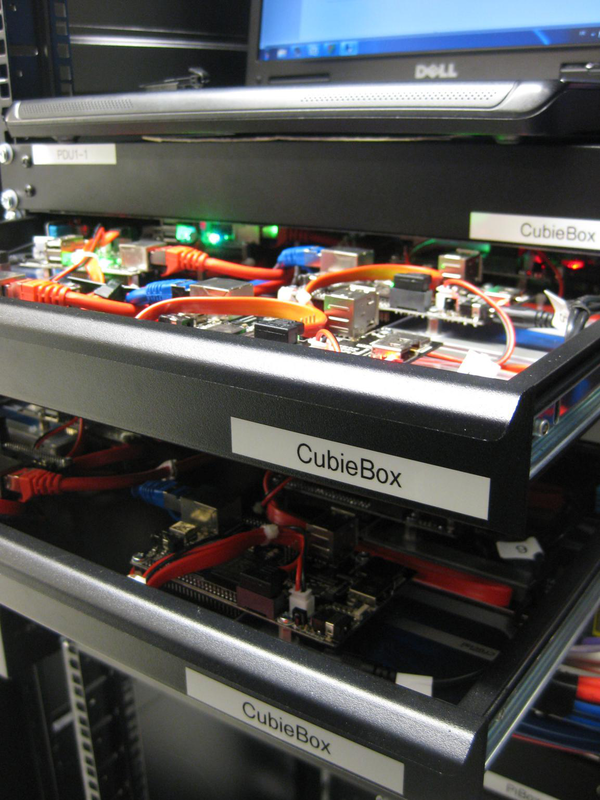 Currently, NanoXion is the only company in France that provides a CubieBoard colocation service directly for consumers. In fact, consumers do not need to send their own CubieBoard because NanoXion can provides preconfigured CubieBoard ready for use. 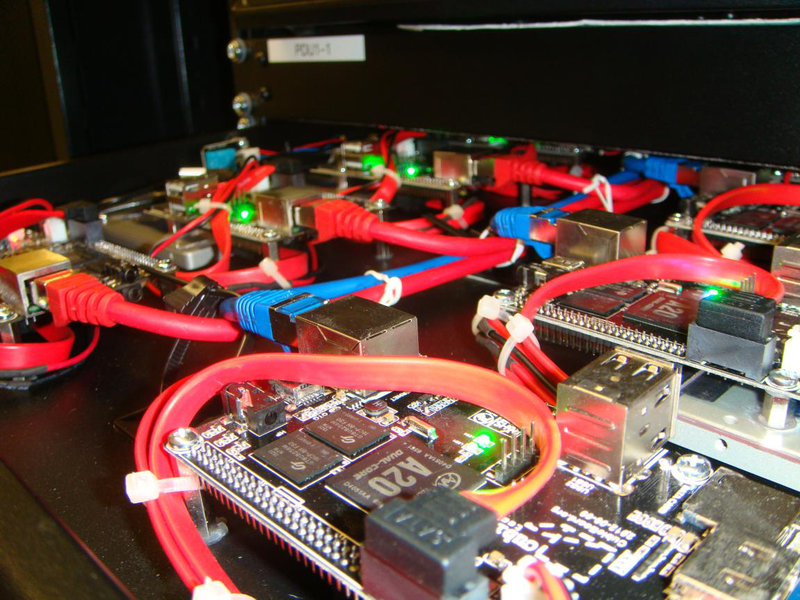 NanoXion has worked out an agreement with located telecom partners to provide CubieBoard colocation. This includes unlimited traffic, ability to reboot 24×7 through their manager software, native IPv6 and pre-installation of CubieBoard servers. Why the choice of CubieBoard hosting solution ? More and more companies are searching flexible and better advanced evolutionary methods to manage effectively their IT infrastructure. However, the supplies are often not properly dimensioned to perform the demand, especially for the small and very small businesses. Indeed IT Technologies should include another aspect in their strategy and include an environment friendly approach.The current trend is towards a more efficient IT equipment to improve the global resource efficiency. IT management must now wholly participate to a “green” approach or risk becoming a weak link in eco-responsibility chain of the company. Nanotechnology has improved the chip technological design. Development board Cubieboard is small (less than palm size), compact, energy-saving and environmental-friendly with the help of high integration and high performance dual-core main control chip. It also uses DDR3 1G memory and ARM contex-A7 dual-core architecture. The CPU frequency is up to 1Ghz and the operating power consumption is less than one percent of ordinary PC. So it is an excellent choice as a small dedicated server. 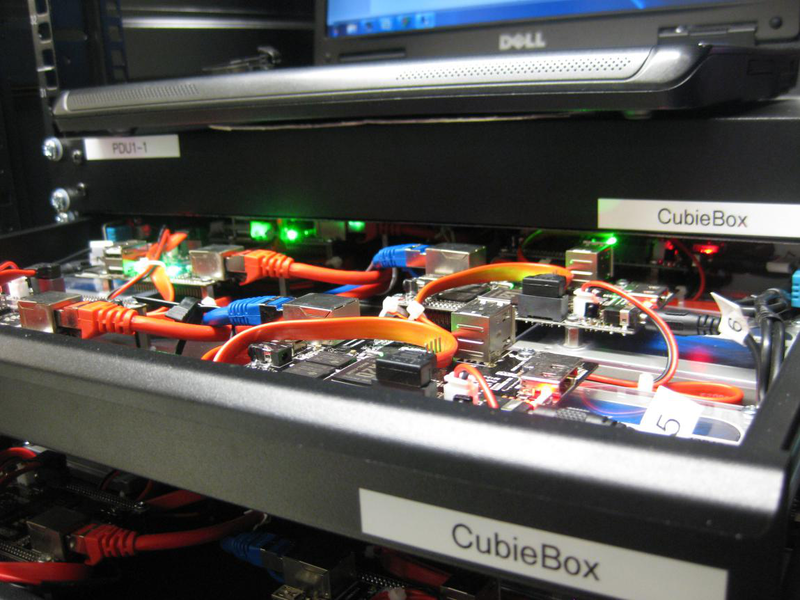 As the small-sized version of IT service equipment, Cubieboard can work individually or in the combination of multiple ones according to the server operating environment requirements. NanoXion has developed its own monitoring tools that is not based on proprietary solutions. These tools are written in PHP, Shell, WLanguage and other web technologies. 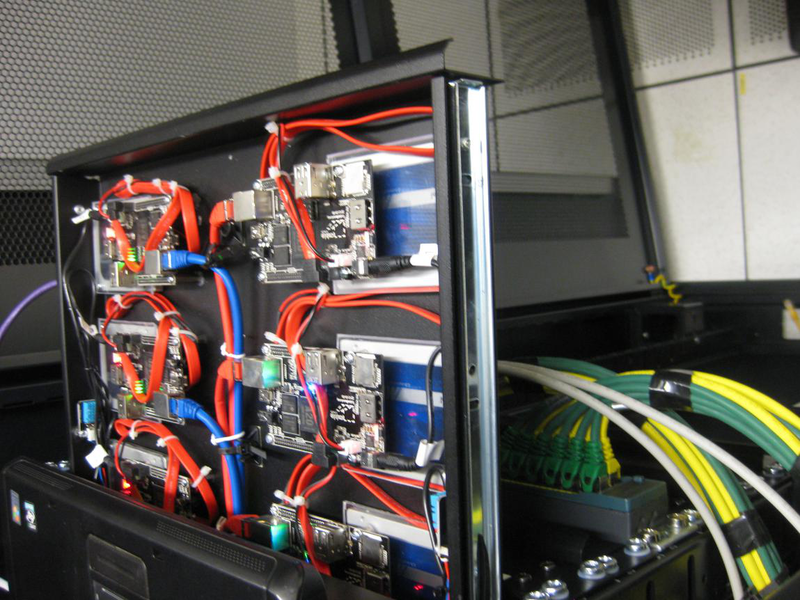 The whole process of running CubieBoard in their computer racks is controlled by their own manager (codenamed “Infinity”). Power supplies have been resized to accommodate their racks. 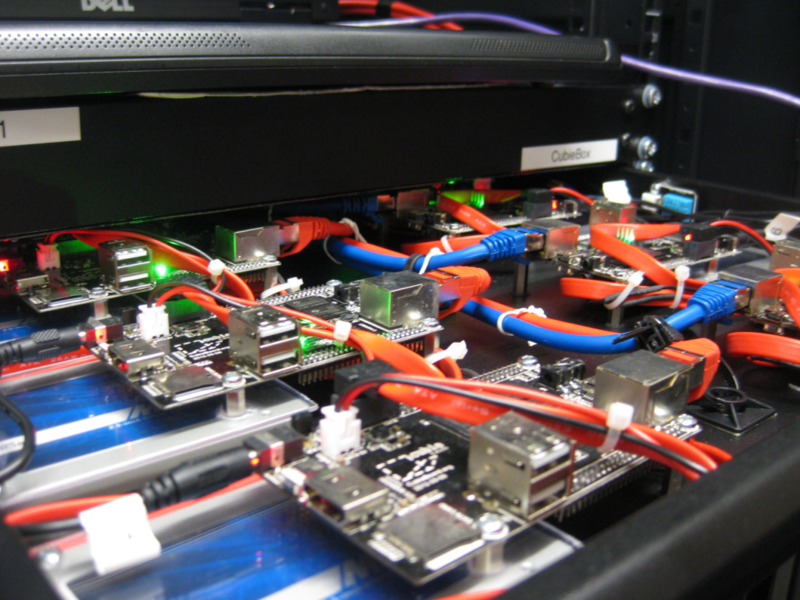 NanoXion completely redesigned its rack infrastructure to save time and improve flexibility. Each rack has two sensors : one for temperature and one for humidity. The temperature sensors are present to make sure that the rack is functioning properly and to provide warnings of emerging risks. They are also very careful with security : tracking MAC addresses, IP addresses and network paths. NanoXion offers customers a control panel to manage their CubieBoard. This panel includes graphs of bandwidth, power management and SSH access. NanoXion provides dedicated solutions based on server-oriented Linux Debian ARM HF distributions, specifically optimised for hosting solutions. NanoXion operates with the fibre optic Public Initiative Network (PIN) implemented in the Hautes-Pyrénées. They provide a high quality service, thanks to their secure datacenter that has an uptime of 99.977% (corresponding to an unplanned downtime maximum of 2 hours a year), close proximity of the technical team, a global 24/7 technical support in case of critical issues and proactive infrastructure monitoring. Their secure and reliable professional hosting environment ensures their NX-BOX service has guaranteed quality of service and security. The entire architecture has been redesigned to achieve the best possible performance. That’s the reason why NanoXion would like to launch its own colocation service with “NX-BOX”, drawing on CubieBOX technology for example. This new hosting solution allows to provide an efficient, dedicated and unexpensive solution, participating on the basis of sustainable development principles thanks to their energy savings. NanoXion commented, first of all, they want to stimulate digital development, by offering to everyone a secure environment to develop and implement groundbreaking belongings in this digital world. They are also curious to observe what role these compact and energy efficient devices can fulfill in a professional hosting environment. 6 Responses to "CubieBoard colocation service Named Cubiebox first launched in France"
I like the valluable info yyou provide in your articles.